Its track consists of two sections. The longer one connects the station Chvatimech next to Hronec with Čierny Balog and the second leads from Čierny Balog to the valley Vydrovská dolina. Trains were operating on narrow rails gauged 760 mm which originally hauled timber extracted in huge forests of the mountain range Rudohorie. The first 10.8 km long section of the railway was put in operation in 1908. The network of the forest railway was expanded until it measured unbelievable 132 km. 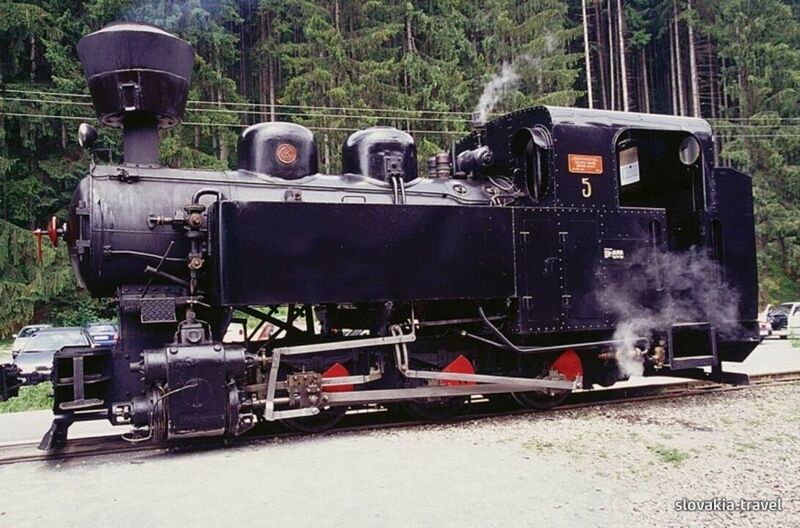 Since 2003, visitors apart of having a ride on the Čiernohorská railway can also visit the interesting open-air museum of forest. Penzión pod Urbanovým vrchom is located in the beautiful surroundings of Veporské Hills near Brezno directly under the slopes of the Ski Čierny Balog. During the summer months, you can indulge in hiking and cycling, and explore the region Horehronie.